The Duke and Duchess of Cambridge and the Duke and Duchess of Sussex have released a joint statement after the horrific mass shooting in New Zealand , saying "evil can never defeat compassion and tolerance". The message is directed to friends and family of the 49 people who lost their lives in the two attacks. 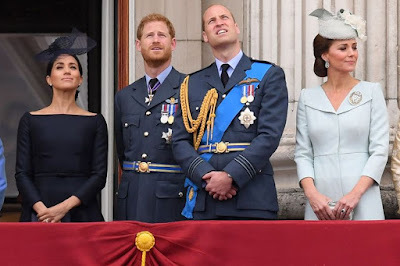 Both couples have visited the country on Royal Tours and praised the "warm, open-hearted and generous spirit that is core to its remarkable people". A further 48 people were injured in the co-ordinated terror attacks, which both happened in mosques. Did Nicki Minaj Secretly Wed Just Like Cardi B?